Tom Clancy’s The Division is one of Ubisoft’s most successful service games. Wondering why big video game publishers are so enamored of games as a service? The answer may not shock you: It makes them way more money. Wayyyyyyyyyy more money. What Ubisoft is saying there is that while a standard game might over its second year make 13% of the revenue it generated in its first year, a live game can reach 52%, which is an astounding leap. 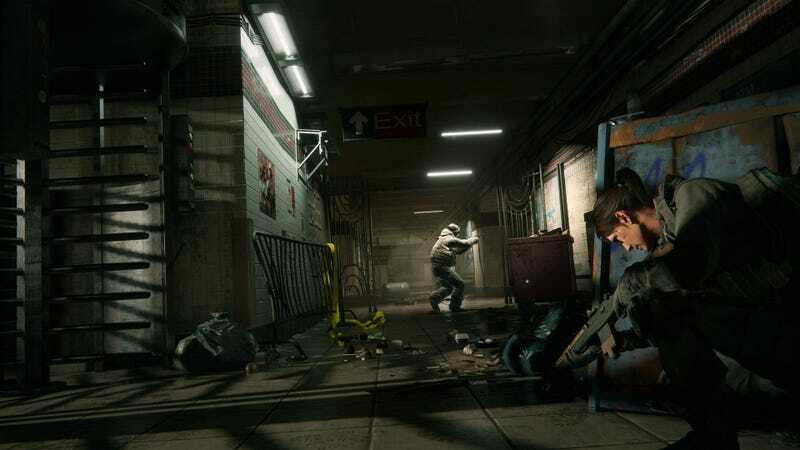 Games like The Division and Rainbow Six: Siege continue to stay in the public eye long after they launch, which leads to a longer tail and, if all goes well, happier players. Or, as is far more relevant to Ubisoft’s shareholders, bigger profits. Ubisoft’s strategy for the past two to three years has been simple: Release fewer games, but stick with them longer, hooking players for months if not years after launch. From Ghost Recon Wildlands to Assassin’s Creed Origins, Ubisoft’s whole lineup is full of these service games, designed to be supported with a regular stream of updates and downloadable content. This slide is particularly interesting because it shows just how much more money publishers like Ubisoft are bringing in when you buy from the eShop or Xbox Live instead of going to GameStop. With physical games, Ubisoft has to give 25% of your $60 to the store and then 20% of the remainder to the hardware manufacturer. With digital games, Ubisoft just has to give 30% to the distributor. In other words, Ubisoft’s ideal customer is the guy or gal who buys service games digitally and then just keeps playing them. In fact, the company says that 56% of its total revenue now comes from digital sales of games and content (as opposed to last year’s 47%).